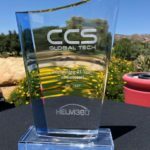 Over the last 10 years, Helm360 has delivered various components for some of the most complex Elite 3E implementations globally. In doing so, we have created our Enterprise to 3E Accelerator Package, the perfect balance of the 3 P’s – People, Process and Product – to ensure a migration to 3E is lower risk, lower cost, a faster process and above all, a positive change for businesses. As we discussed during Initiating a Firm-Wide Data-Quality Mindset, the quality of data that resides in a firm’s core financial system is often overlooked when embarking a system change. During the conversion process, we’ve found some teams minimize the importance of data quality, adding unnecessary data conversion cycles and increasing the overall cost of the project. In addition to practicing consistency in data quality, we recommend documenting business processes and implementation goals prior to starting the conversion process to ensures realistic expectations throughout the project to meet the official go-live date and sets the stage for a firm’s internal success. As Murray Clow, Senior Project Manager at Helm360, discusses in Transitioning from your legacy Practice Management System, reviewing current processes and investing in an internal project team are vital ingredients to a successful implementation. Business Process Review: Helm360 works with internal teams to document unique business processes and eliminate potential challenge areas prior to the start of an Elite-to-3E system conversion. By implementing this up-front process, each firm’s internal team feels engaged with a sense of ownership and responsibility, contributing to internal system adoption and project success. Technical Review: Consultants at Helm360 review current Elite Enterprise systems to identify areas potentially customized by firms in the past. We’ve found most clients running Elite Enterprise have multiple areas of customization likely to impact the data conversion process, so to avoid a costly situation, our Consultants deploy customization discussions as a part of Helm360’s Elite Enterprise conversion to 3E implementation strategy. Data Health Check: A data health check tool provides our clients with a comprehensive report of datasets likely impacted by low quality, customized, and/or miscategorized data. The tool’s purpose is to save both our clients and Helm360 Consultants time and unneeded complexity during the data conversion project. Identifying areas of concern is the first step to ensuring data quality, followed by an analysis of system-wide data health during a data mapping exercise prior to conversion. Data Issues that CAN be corrected prior to conversion: Elite Enterprise gave firms the ability to enter data into fields assigned for different purposes, adding flexibility but promoting human error. 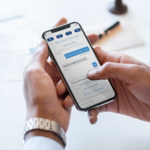 Our Consultants have found, for example, address form fields to be used to instructions for billing, notes, and other non-related address identifiers. Helm360’s Consultants identify and correct this information prior to conversion to 3E during data mapping sessions. Data Issues that CANNOT be Corrected Easily: Issues that cannot be corrected easily are known areas of concern earlier identified during the data health check performed by Helm360 Consultants. An assigned Conversion Analyst identifies the areas of high concern to ensure a thorough de-risk of such data elements by assigning them to high-priority during the data mapping session. Data Issues Needing Internal Compromise: Understanding a firm’s need for record keeping and billing history are essential for the amount of data needing to be converted. Complexity presents itself when a firm has kept data through a merger requiring quick-and-dirty data migration, or when billing history extends beyond five to seven years. Often, achieving a higher quality data transfer during the Elite Enterprise to 3E conversion process, a historical limit is placed on the quality of data that can be achieved. Because of this, Helm360 Consultants implement appropriate reporting within a legacy database, providing firms with a simplified data conversion with the ability to view historical data. Merging Databases: Helm360’s Business Intelligence (BI) product, Terminus EnSight provides firms the ability to merge reporting from multiple data systems, combining and simplifying the reporting process in one easy-to-use interface. Helm360 Conversion Analysts services extend for Elite Enterprise to 3E conversions, MatterSphere, Design Gallery and ProLaw. 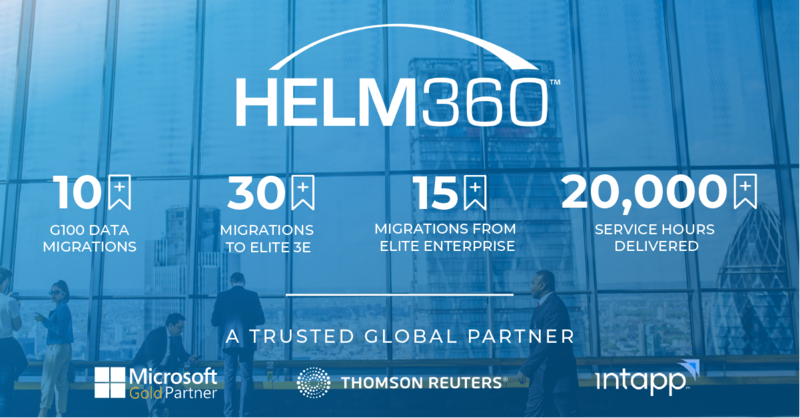 Helm360’s solutions have succeeded in some of the largest data mergers from Elite Enterprise to 3E with over 20,000 hours delivered, more than 55 migrations to date, 15 of which specifically dedicated conversions from Elite Enterprise to 3E. 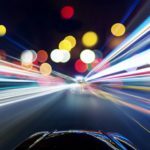 Helm360’s consultants have helped law firms across the world implement Elite 3E and have a breadth of experience in application configuration, customization as well as template creation. The Elite 3E framework provides a truly powerful customization layer through its Integrated Development Environment (IDE). In essence, any form, workflow or business logic can be tailored to the needs of your law firm. Utilizing Helm360’s conversion solutions ensure carefully managed implementation processes. Customers that went down the route of heavy customization consistently met with project delays, budget overrun and performance issues. Customers that had a tight grip on the scope defined in the strategy phase had a much better chance of hitting their go-live date with minimal issues. Customers that implemented an approach of minimum customization for the implementation and then followed with a phase two program of incremental change had the most successful implementations and the best end user satisfaction levels. The key to a successful conversion is to limit the number of customizations you do as part of the implementation and introduce those changes later. Obviously, some areas of customization are unavoidable like bill templates and certain workflow processes, but the less you do the smoother your go-live will be. Investing time and resources for testing Elite 3E within your firm’s environment is critical to system adoption, data quality, and fluidity during the implementation process from Enterprise to Elite 3E. Quality assurance and testing solutions for Elite 3E can be performed by Helm360’s Consultants for ease of mind and confirmation of excellence in your firm’s data conversion.